We wish to congratulate and inform you on the selection of your email coupon number which was selected among the 6 lucky consolation prize winners. Your email ID identified with coupon No. 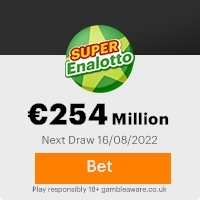 CAN:9728939934. withentries from the 25,000,000 different email addresses enrolled for the E-game.Your email ID was included among the 25,000,000 different email addresses submitted by our partner international email provider companies. No tickets were sold.You have won a prize money of Five Hundred Thousand Great Britain Pounds Sterlings for the Month of September, 2007, Amount in United States Dollar is $985,995.89 USD. This Email with the Subject "Your email ID identified with coupon No. CAN:9728939934" was received in one of Scamdex's honeypot email accounts on Sat, 06 Oct 2007 04:12:21 -0700 and has been classified as a Generic Scam Email. The sender shows as rescuemedic@satx.rr.com, although that address was probably spoofed. We recommend that you do not attempt to contact any persons or organizations referenced in this email, as you may expose yourself to scammers and, at the very least, you will be added to their email address lists for spam purposes.